In a steam-filled diner in a college town, Flannery Jansen catches sight of something more beautiful than she's ever seen: a graduate student, reading. The seventeen-year-old, new to evrything around her—college, the East Coast, bodies of literature, and the sexual flurries of student life—is shocked by her desire to follow this wherever it will take her. When Flannery finds herself enrolled in a class with remote, brilliant older woman, she is intimidated at first, but gradually becomes Anne Arden's student—Baudelaire, lipstick colors, or how to travel with a lover—Flannery proves an eager pupil, until one day learns more about Anne than she ever wanted to know. 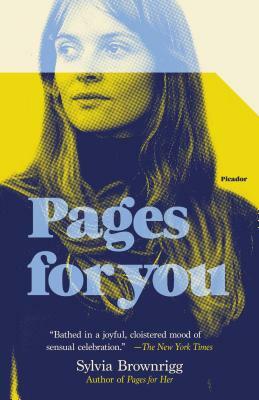 Sylvia Brownrigg is the author of a collection of stories, Ten Women Who Shook the World and the novels Pages for You and The Metaphysical Touch. She has a degree in philosophy from Yale University and lives in Berkeley, California.